A long weekend doesn’t always mean rest and recuperation, especially if it’s a holiday weekend. After all the fun memories, you might be feeling tired, a little weak, and maybe sunburned. So make sure to build yourself back up this week! Start by making sure you drink lots of water today. Whether you were in the sun, drank alcohol/coffee, or just feel a little tired, getting more water into your system solves a lot of problems, or at least gets the ball rolling! Next, treat any visible injuries, like sunburn. Coconut oil, aloe, and colloidal silver can all help soothe skin and aid healing. If you stumbled and acquired some scratches or cuts, silver works there, too. Colloidal silver is an easy (and easily customizable) way to apply silver, although you may have noticed it’s in a lot of products in the wound care aisle (although it’s usually in other forms). For an easy way to give your skin the support of colloidal silver, try one of our sprays! If you’re feeling fourth of July festivities in your stomach, you’re not alone. 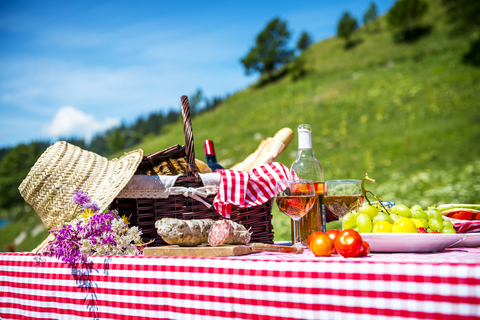 Food-borne illness thrives in summer heat, and a lot of people picnic, grill, or otherwise eat outside all day long over the holiday weekend. It may be too late to stop the stomach cramps, but you can fight back and simultaneously rebuild your probiotic colony with a probiotic supplement like Flora MGR (or lots and lots of fermented foods like yogurt). Feeling tired? If you were up late watching people launch fireworks, the first day of the work-week may be more tiring than ever. While it’s true you can’t bank sleep, you still need to listen to your body. On the one hand, it will take a while to reset your circadian rhythm back to your normal, on the other, you need to find time to go to bed early, nap, or otherwise rest so your body can do the healing and regeneration that occurs during sleep as much as it needs to (especially if you had any of the other problems listed above). If you have trouble falling asleep or staying asleep, go for natural support with our Sleep Support Pack.